Looking for alternatives to SimilarWeb? Tons of people want Market Intelligence software to help with attribution, geolocation, and demographics. What's difficult is finding out whether or not the software you choose is right for you. We have compiled a list of Market Intelligence software that reviewers voted best overall compared to SimilarWeb. Based on reviewer data you can see how SimilarWeb stacks up to the competition, check reviews from current & previous users, and find the best fit for your business. 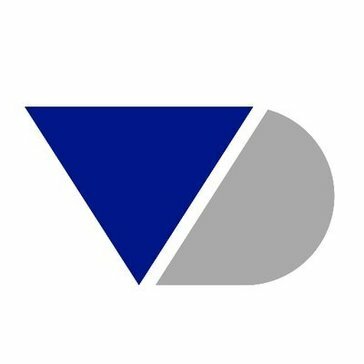 iDatalabs provides actionable market intelligence by applying data science and machine learning to big data on technology usage by businesses. "Completed a project in hours when it would have taken days using traditional research methods : I was creating a census of mid-tier ERP systems sold globally both on-premise and in cloud configurations to define potential new markets. The project had to to be done in a very short time window for discussion at a planning meeting. I also had to drill down into the installed base and shipments of each system my company can integrate with to size the adjacent market opportunities. I found iDatalabs and their sales team helped me get up and running fast. No other application had access to the data I needed or had the analysis tools they have. Combining data that is a challenge to get with an intuitive interface to streamline analysis is what differentiates iDataLabs. I was done with the project in less than an hour using their app. Jeanne Bialik did a fantastic job and helped me get up and running fast, and I completed the project well ahead of the deadline because of her and iDatalabs’ depth of data support. It's great when you encounter a sales team with empathy and is willing to help out. She did a fantasitc job of presenting the app and helping me meet a tight deadline. " 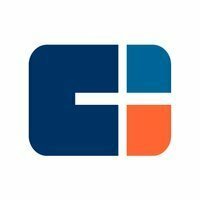 "Customer service, data, plug-ins, private markets, public markets, mobile app: The best thing about pitchbook is the support team built into the platform via the chat feature as well as a designated account manager. You can quickly learn how to use pitchbook using them as resources to help you with your projects as well as the plethora of online tutorials. The private market data is updated very often and it has time stamps to show when it was last updated. Nifty plug-ins such as the chrome plug-in for fun added use as well as the mobile app to quickly pull up info on the go and in conference calls. " Digimind Intelligence is an enterprise competitive intelligence software that delivers data insights and analysis via its proprietary analytical engine. "Digimind -Data that can empowers People to communicate and share ideas through social networking : Topics are rich and diverse . Easy to Navigate and to search .allot on the news and trends that help me understand the competitions I am able to tailor topics and headlines to be emailed to me based on watch lists that I can quickly look at . especially if I just need a quick summary to help me analyze if the topic is relevant to what I should know or not . " Contify accelerates sales with account based social intelligence. We deliver real time social intelligence on companies, decision makers, influencers and executive leadership in your CRM. With account based sales triggers on prospects from NEWS, Blogs, Company Websites, Twitter, Facebook and Youtube, you can communicate with timing and relevancy and delight the buyer. We also offer APIs to help you integrate social intelligence in your sales software. "Contify has succeeded in making the challanges of market intelligence a great deal more simple. : The need for market intelligence is not new. But earlier, MI solutions were prohibitively expensive. Thankfully, by leveraging the latest technologies, Contify has made MI accessible to a much wider audience. It automates the process of searching, consolidating, and organizing information to generate intelligence for different stakeholders in the organization. Also, it is very intuitive to use and completely configurable. That helps in providing intelligence within the context of its users and atskeholders." Crunchbase Enterprise is a data solution designed to enrich Salesforce accounts, analyze the Crunchbase dataset and pinpoint prospects. 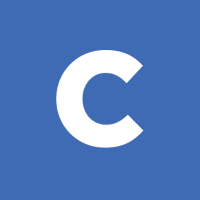 "Crunchbase Review: I love how much information you are able to obtain from a simple search, and how you are able to tailor your search to certain criteria. Also, being able to save certain companies to a list is an added bonus." The CB Insights tech market intelligence platform analyzes millions of data points on venture capital, startups, patents, partnerships and news mentions to help see tomorrow's opportunities, today. "Has core foundation, but some feature gaps vs. other platforms: Good looking dashboards, neural/graph data formats, etc. Also, the research reports that they publish are quite good. Notably the ones covering the VC landscape in terms of what specific investors are doing in each industry. There's also a news-like quality to reading their reports where they feel more timely than the standard quarterly reports that other platforms such as Pitchbook publishes. 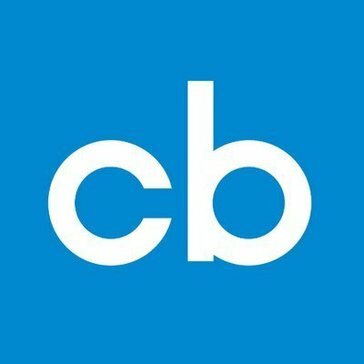 In terms of data, overall CB Insights has the majority of core deal information. 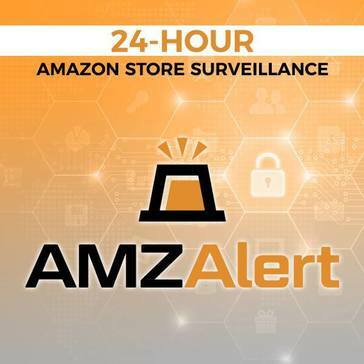 The sales person was also very knowledgeable on the solution and helpful in discussing what they are working on in terms of product roadmap"
AMZAlert is an Amazon seller software that monitors all of your ASINs and sends notifications when problems arise so you can fix them before losing sales. "Amazing Piece of Software: I liked the fast monitoring of my products and the quick alerts! There is nothing better than not having to worry about manually checking my listing to see if there are any issues. I get alerts within 15-30 minutes of when the issue happens so that I can quickly fix it and not worry about losing sales. If there is ever an alert that I do not know how to fix, I can reach out directly to AMZ Alert and they can help walk me through the issue and help me provide a fix for the problem. Their customer support has been so valuable in the fact that it is so easy to get in touch with them. " 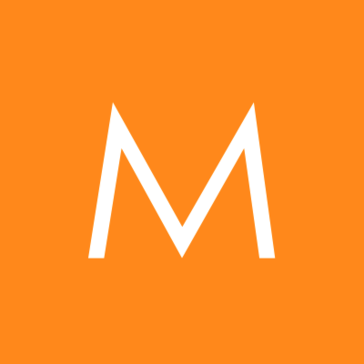 Moat is a global analytics provider focused on making brands and publishers more effective. From real-time attention metrics and intelligence to cross-platform measurement and new currencies, Moat offers solutions that make branding and storytelling work better. "A solution for research. : Lots of web banners and other kinds of web advertising arts, plus the ability to provide analytical data." ReferenceUSA is the premier source of business and residential information for reference and research. ReferenceUSA offers the most up-to-date data available in the market. "Great Sales/Marketing Resource: The best thing about referenceUSA is that it is available through my county library. It is a really fantastic business database allowing me to create custom searches and even save them to refer back to later. They even have some really cool additional features like heat mapping and charts that you can use if you want to. Its really great that you can search by nearly any custom field that they include on the company profiles. It allows you to be very specific and precise on your searches." "Amazing marketing insights: First Rain allows me to look up each account I have to see what is happening in the industry around them that I can then use as a conversation starter. As a business development rep. it is often tough to keep people on the phone, and by using First Rain I am able to bring up topics that intrigue the potential clients." Crayon is a market intelligence platform that enables businesses to track, analyze, and act on everything happening outside their four walls. "competitive intelligence for marketers: We choose the vendors we want to follow and always receive timely alerts about competitor's news. The UI is easy simple on most pages. The vendor is very responsive and great to work with. The insights provided are extremely valuable for marketing competitive intelligence." ThinkSmart’s marketing databases support timely, data-driven decision making. We consolidate all information available about customers, leads and prospects to deliver fast, flexible merge purge processing as well as integrated analytic tools to drive insights. "ThinkSmart Review: I think that programs like Think Smart are an excellent tool for marketers alike. I have found tremendous improvements through my marketing work and using this software has helped me understand and learn more about what my marketing strategies should be like." Upstream is a solution that keeps users at the source of the latest sector and company insights and provides up to the minute contact details of key decision makers across Senior Management, Marketing, Communications, IT and Digital. "Speeds up my sales prospecting: The direct lines and mobile numbers! Very good quality data in general. If a contact has left, you tell Upstream and they send you the new details of their replacement or next best contact. I like that the data is intended for suppliers to those retailers, brands, chains, perfect if you sell marketing services, or any kind of technology to companies in the UK." Orbis is a powerful comparable data resource on private companies. "Orbis review: The new platform that they just launched - fantastic. I like the layout much better and it is overall, updated looking. I use this often for doing research on various companies. The info graphs are helpful for a quick real through when glancing at a company (esp in the financial data)." 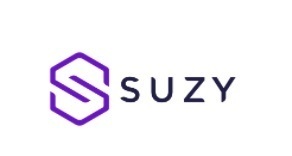 "Really ease to use and efficient: The ease, everything you can do with it, now includes dashboards which are amazing"
Suzy is how leading companies harness collective insights from millions of consumers worldwide to gather realtime intelligence. "Quick, reliable survey feedback: The quick and ease of responses from a huge panel of consumers. You can ask them anything from concept images to product liking. New question features such as grids are a big plus and extremely useful." 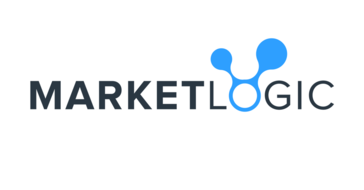 Market Logic's Insights Platform enables companies to bring all their unstructured and structured consumer, competitor and market data together for knowledge building and insights mining. The platform continuously ingests new data, extracts relevant meaning and connects the dots to generate insights and recommend actions. "Decent platform with good ROI: One of the best things about this platform is price compared to competition. I also found their social media data to be more accurate. The interface was easy to use for someone without previous training with the product." Kompyte visits your competitors’ websites, advertisements, social profiles, newsletters, and much more, and you get alerted every time they have a new banner, change prices, launch a new campaign or a new player breaks into the scene. "Social Media Monitoring and Bench-marking For Social Media, Made Easy: Monitoring and bench-marking of our social media competitors, as well as our client's social media competitors is very easy with Kompyte. We use this tool to build amazing reports, provided with an easy PDF download. One of, if not the only tool, that reports on LinkedIn, which is what sold us in the first place. " Vennli establishes an initial hypothesis about the areas of opportunity, assesses your organization’s customer perceptions, and delivers voice of the marketplace data through Vennli's platform and proprietary process. "Great competitive intelligence tool: Vennli uses a novel approach to model the three circle diagram to find overlap between what customer want, what you offer, and what your competition offers. Vennli will help you run surveys with customers to collect the data required to create the diagrams." 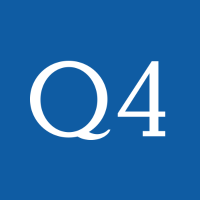 Q4 specializes in cloud-based investor relations and capital market solutions. "Great product highly recommended : I really enjoy the fully­ integrated investor relations platform, which brought together communications tools, surveillance and analytics. All into 1 and fully featured IR workflow and CRM application." Hi there! Would you like help finding solutions similar to SimilarWeb?